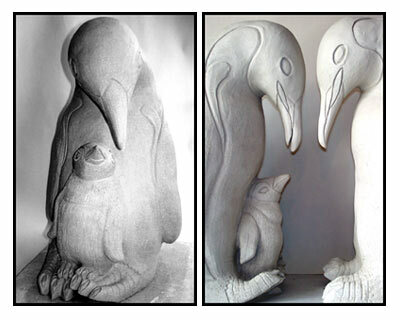 DESCRIPTION Large hand coiled bird with slab and modelled features. 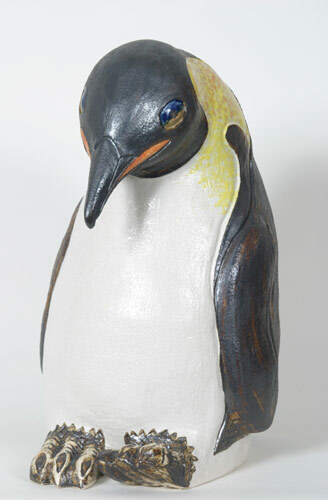 Glazed in marble white and pewter black oxide stain.ARTIST'S STATEMENT This tall penguin is created using Valentine's Hand Building clay to give it a clean white finish. Sometimes the most simple results are the most difficult to achieve. 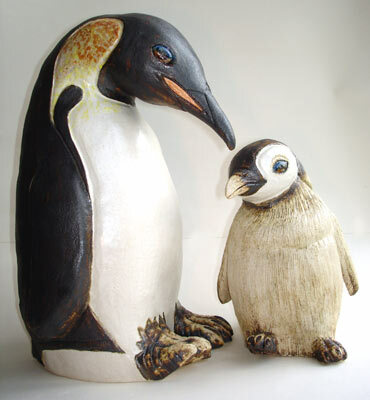 It took me over a year to develop a white glaze that would not discolour and a black stain that would not fade to brown. 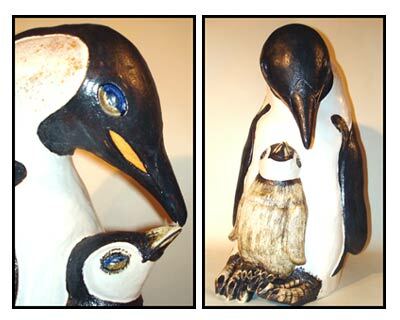 All of my penguins are doing something quirky with their feet, which gives the pieces a sense of movement as well as humour.